I’m not sure why I haven’t done this design before – it was so obvious. But getting the star to look just right took quite a bit of trial and error – who would think? When it’s a simple shape it has to be just so doesn’t it. This design is very versatile as a greeting card or small picture for both girls and boys, women and men. Great for Birthdays, Father’s Day, congratulations or for Christmas greetings. 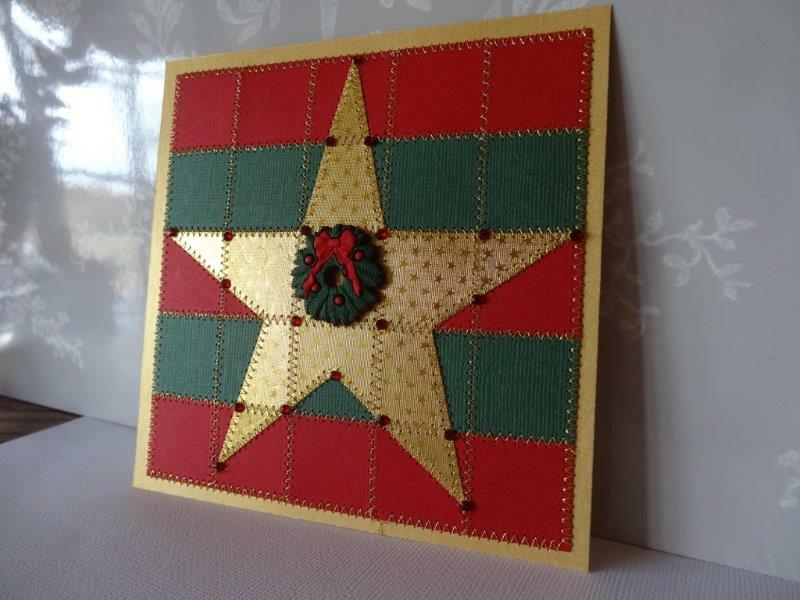 Created using either 1 inch or 3/4 inch squares using the easy and fully explained Layered Squares technique (or adapt it to the Just Squares technique by sewing the star, cutting it out and layering onto a background paper). 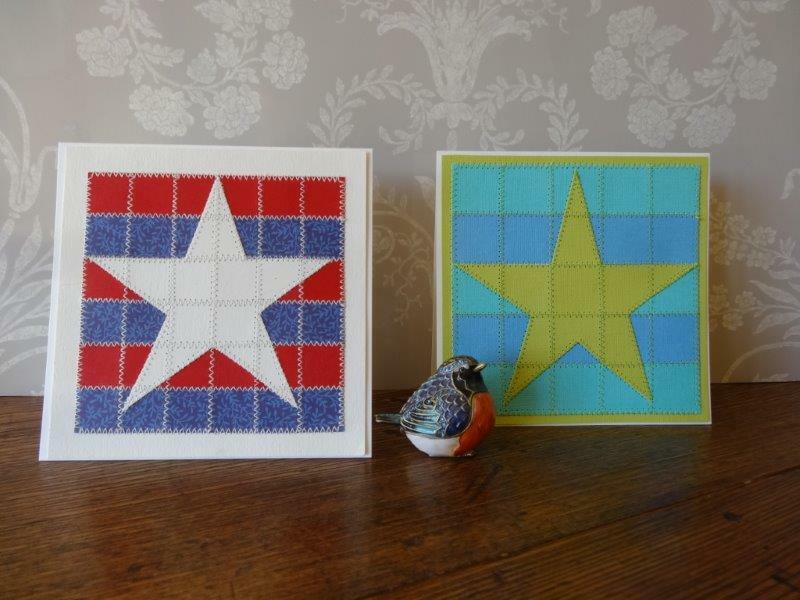 The design seems to work well with solid coloured papers or those with a very tiny pattern (the red, white and blue star uses a blue floral paper from Anna Griffin). Solid, foil embossed Christmas wrap in gold was used on the Christmas star. The background can be created as bands of colour or in all the same colour. 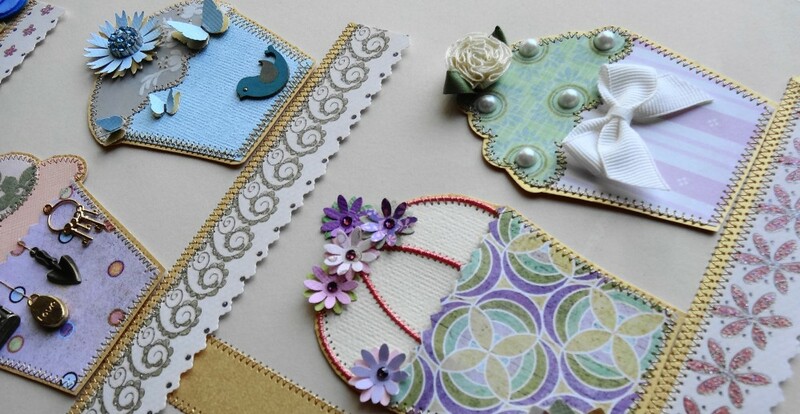 Embellish with sparkles, charms or wording for the perfect greeting card. This is a great project for teaching simple sewing to any age group – both girls and boys. The design can also be adapted to be a fun hanging ornament or very special gift tag – pictures to follow. (promise! ).